Nineteen-year-old Lonzo Ball is in place to be the leader and face of the Los Angeles Lakers' franchise after the former UCLA Bruin heard his name called for the no. 2 over all pick in the 2017 NBA Draft. On Thursday, Lakers president of basketball operations Earvin "Magic" Johnson and general manager Rob Pelinka put the call in to Ball about three minutes before the pick went live, and Ball's dream became a reality. "Yea, this is crazy," Ball said in a media room at the Barclays Center, where he sat as the focal point of a conference call with reporters back at the Lakers' facility in El Segundo. "It's crazy. You can't really tell by my emotion, but I'm feeling good. I'm happy to be home. It's crazy." Ball went to UCLA and his family lives in Chino Hills, so as far as being local, Ball is as home grown as it gets in a league with the Lakers' two rookies from a season ago grew tall in Croatia and Georgia—the state, not the country. Despite being in the spotlight and drawing national attention at UCLA and even more so after basketball season ended, Ball has seemingly not taken a step wrong or put his foot in his mouth. No, his father, Lavar, has a habit of doing enough of that for both father and son—and the rest of the family, for that matter. On draft night, only minutes after his son had been drafted with the no. 2 overall pick, Lavar Ball continued his personal P.R. campaign and promised that his son would lead the Lakers to the playoffs in his first season on national television. As a reminder, the Lakers only won 26 games a season ago, and they're coming off the four worst seasons since the franchise moved to Los Angeles. "He's his own man, so I don't know what he's going to do," Lonzo Ball said, with a smile visible through the phone, when asked if Lavar Ball would tone done his outspoken behavior now that his eldest son had made it to the Lakers. "It's going to be a surprise for you guys and me, but you just got to stay tuned." Lakers general manager Rob Pelinka offered his own views on the elder Ball, views that did not match the narrative normally associated with the loud spoken creator of the Big Baller Brand and a frenzy that has swirled around his soft spoken son in the months leading up to the no. 2 pick. "Time with (the Ball) family really helped crystalize our decision," Pelinka said late Thursday night, after the draft had wrapped up. "We spent a day out at his house and got to see really how the sons interacted with their mom and their dad and really got to see the way Lavar cared for his sons, and even more importantly, the way he cared for his wife, Tina, and the condition she's in." Tina Ball recently sufferred a stroke. Pelinka added, "Listen, there can be a sense of bravado with some of the media stuff, but when you get to see the heart of a person and how they treat others, I think that's when you really get to know them. And all I can say is that we walked away from that really impressed with the family." 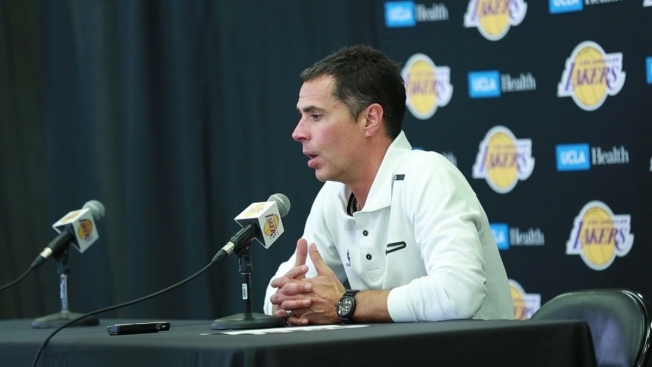 Based on the Lakers' executive's words and the action of executing on the no. 2 pick, Lavar Ball seemingly helped Lonzo Ball become a Laker far more than he hurt his son's chances. However, the 19-year-old did not entirely earn his draft position and status because of his father yelling into microphones. "There's something very, very special about his basketball abilities," Pelinka said about the younger Ball. "I think if you use a sports analogy in another sport--football--you look at passers like Tom Brady and Aaron Rodgers that just have an ability to do something that is so special with where they put the ball and where they deliver it. I think the vision and abilities that Lonzo has just puts him in a class of being a transcendent talent." 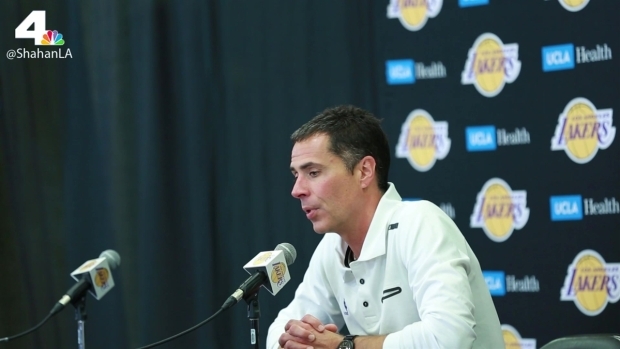 What is the Lakers' Plan? 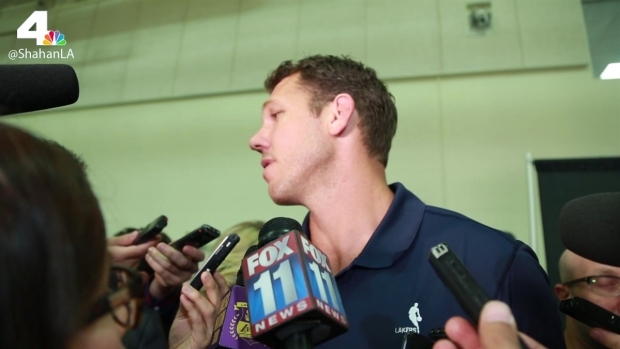 Lakers coach Luke Walton opted for a different word: "Genius." "We want the ball moving, and we want to play an up-tempo game, and that's what Ball is a genius at," Walton said as he drowned in a sea of microphones and cameras only minutes after the selection had gone public. "I'm sure he'll fit into our culture," Walton said before adding to his thought. "He'll improve our culture with the way he plays, the way he passes, his selfless nature, and that's why we took him." Ball is an LA pure bread, so fitting in off the court doesn't appear to be a concern. Having lived in Westwood for college and having his family home base in Chino Hills, LA isn't an exotic far away dream land with unfamiliar big city lights or newly found fame. When asked about how LA would welcome one of its own, Walton confidently stated that his experience in public in recent weeks led him to believe the city was already rooting for the younger Ball to succeed. On the topic of playing at home, Ball said he thought it should be a "comfortable" environment. "For LA, I've been here my whole life. It definitely helps me. I always play for my home town."